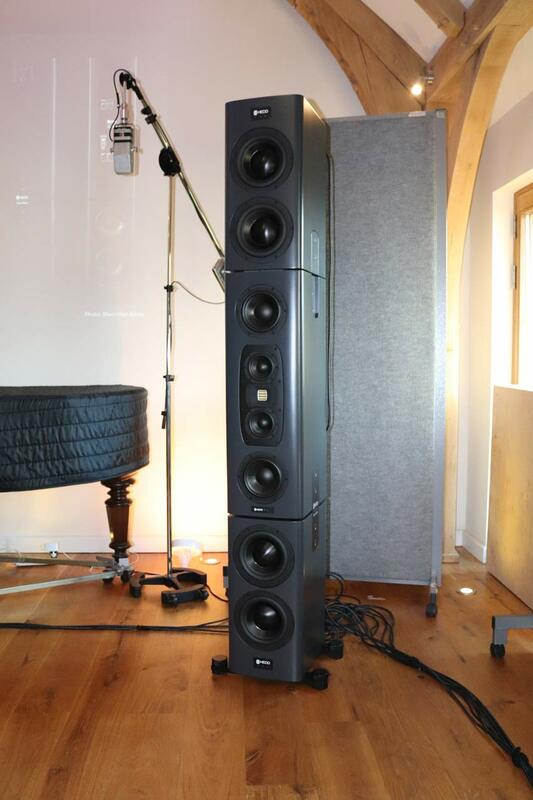 Production Expert | HEDD Tower Mains - Combining The Best Of Nearfield and Mains Monitors. Why Build Them As Sealed Boxes? 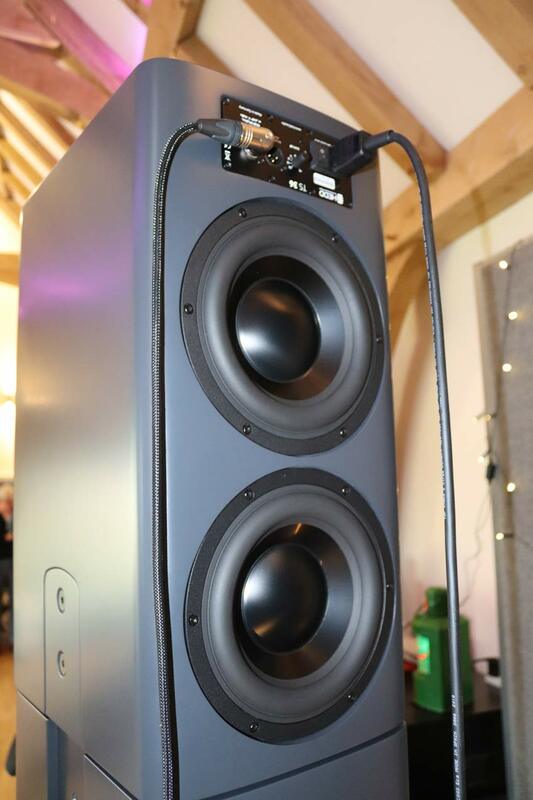 At the listening event at Rimshot Studios I attended last month to hear HEDD’s new Tower mains I was lucky enough to spend a little time with Klaus Heinz, the designer behind HEDD’s products and to benefit from his considerable knowledge in all aspects of loudspeaker design. I always enjoy spending time with proper engineers, not sound engineers (though I like them too) but real engineers who design and build stuff, because so much of their work is about simplifying problems and through clear thinking, solving those problems. After only a few minutes it was clear that his approach is uncompromising and empirical, and this approach is clear to see in the design of the Tower Mains. I had the presence of mind to capture the information from the slides in his excellent, and occasionally over my head, presentation about the Tower Mains because it answered most of my questions about why he had designed these monitors in the way he had. The “fun” of over Q’ed systems - by this he meant the tuning of the bass reflex designs, which were usually, in his opinion, sub optimal. Impressive but not as accurate as they might have been. As a result of this, good near field monitors and midfield monitors have established themselves as they often deliver a more precise and less coloured reproduction, a fact borne out by the popularity of nearfields for music work, though nearfields are arguably less popular for post production. The aim of the Tower Mains was to design a main monitor which had the good characteristics of main and mid/nearfield monitors with none of the disadvantages. So exactly how did he go about this? The frequency response is always limited. But 20Hz to 40K is more than adequate. A speaker shouldn’t be omnidirectional, a monitor should reproduce the recording room acoustics and not add the control room’s properties. Linear Phase is possible and is offered in HEDD monitors via the HEDD lineariser plug-in. To address these he designed a column-like speaker with a slim baffle with rounded sides to avoid diffraction, with vertical symmetry for better stereo imaging. The tall symmetrical design and the waveguide around the ATM tweeter avoids reflections from the floor and ceiling. Another benefit of this symmetry is that having two woofers and midrange drivers meaning 6dB of extra headroom. It would be a closed box design to get the optimum in clean impulse responses, avoiding the group delay of ported designs. An Infinite Baffle Main Monitor? The sealed box or infinite baffle design has gained more popularity recently, see my recent review of the Neumann KH310 for my thoughts on the benefits of a sealed box design but one of the biggest advantages of a ported design is efficiency. You get more low frequency level from a ported cabinet than a sealed design. This barrier to achieving high SPLs is one of the reasons why main monitors have usually been ported in the past. How do HEDD provide enough low frequency energy in the Tower Mains? One of the ways to achieve this is to use powerful amplifiers combined with multiple drivers. Each TMS36 subwoofer module contains four 9” long excursion drivers. Using class D power amplifiers with exceptionally low distortion each driver is directly wired to 300W of amplifier power, 1200W total. In a standard system one subwoofer is paired with the TM80 Main monitor which looks after everything from 80Hz upwards. In an extended system, two TMS36 modules are combined with a TMS80 for more headroom, the frequency response is unchanged but this extra subwoofer increases max SPL. To hear my thoughts on how well this system works see my report from the listening event. 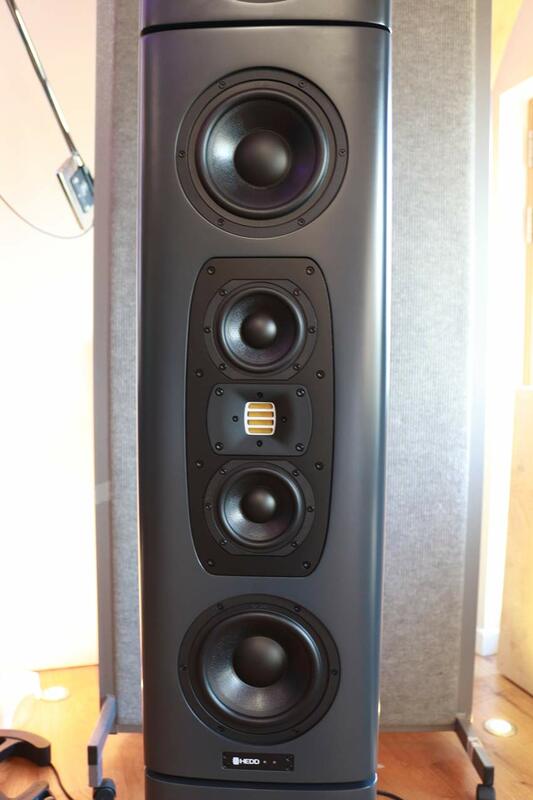 The approach and the logical approach to bridging the divide between nearfield and main monitors impressed me as identifying the cause of the limitations, particularly those which had restricted the use of sealed box designs was logical and clearly effective. Should we call the Tower Mains “Mainfield monitors”? HEDD Type 20 3 Way Monitors - How Do They Sound And How Are They To Mix On?